Tenacity for Life-Essays on life, business and the world around us: My Wish for you this Christmas... May you be very merry and disconnected. My Wish for you this Christmas... May you be very merry and disconnected. My wife shared the enclosed essay from her spirituality class and it really hits a chord. As someone who lives an always on 7 days a week lifestyle- I'm guilty as charged. I've been looking forward to these days off with our girls to be able to distance myself from the everyday agenda. A break to put some space in a very busy lifestyle. While many might say that technology has made the world smaller, it has also created greater distances between us. I share this essay with you so that you might be compelled to unplug, become disconnected albeit for a couple of days and be present. 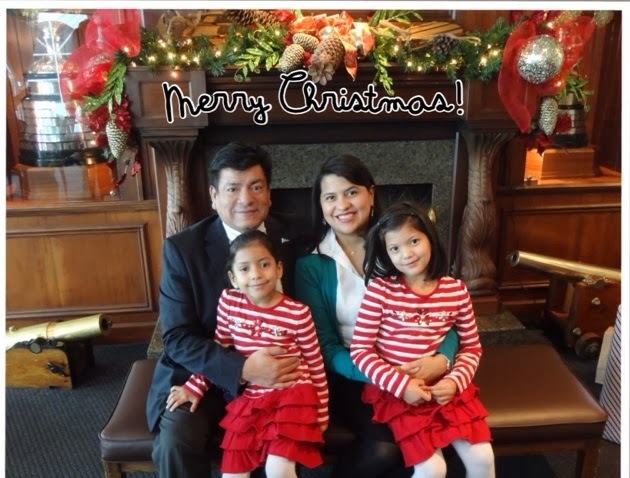 From mine and ours to you and yours- Have a Very Merry Christmas! Disconnect and live your life. This weekend, while I was scrambling with last-minute online Christmas shopping, my browser somehow pulled me on to the Apple website. But rather than being welcomed to the webpage with the usual images of iPads and iPhones in seductive poses, a video began playing . An extended family is gathering for the holiday. They run out of their cars to embrace one another; they bake cookies; kids build snowmen; toddlers fall asleep in perfect alignment under a perfectly decorated tree. In each scene, we see a teenage boy with his head down, his eyes glued to his handsome new iPhone. Adults give him chiding looks, his young cousins throw snowballs at him, but he is unmoved. In the end, we realize he has been capturing all of these touching moments with his phone's video camera and quietly creating a home movie. His big reveal of the video in the family living room is greeted with weeping and impassioned hugs. Most Apple ads seem to want to convince us that rather than keeping us from being present to the people and places around us, their products instead heighten our awareness of love and beauty in the world. One recent commercial insisted that the camera on the iPhone (the most-used camera on the planet) is responsible for capturing the most important moments of our lives. Another ad, showing a man wearing distinctive white headphones while looking out into the distance from a ferry, tells us that the phone's inner iPod creates the definitive soundtrack for our lives. And even though I find myself writing this column with white headphones in my ears, looking off into the distance from a Long Island railroad car while my iPhone allows Leonard Cohen to sing me through this particular scene in my life, I remain unconvinced by Apple's pitch. Because I have seen too many couples in restaurants where one partner is tapping her fingers frenetically on a phone while the other stares emptily into space. I've watched too many people swipe lazily at their phone screens rather than look up at the sunset or body of water spread out before them. I've witnessed too many individuals left hanging mid-sentence when a companion is pulled away by the buzz of an incoming text. The text messages, the relentlessly updating Facebook news feed, the constant stream of push notifications illuminating our phone screens -- our multiple modes of communication are conditioning us to be in a chronic state of distraction. The word "communication" is rooted in the word "communion," which literally means to "become one with." The word evokes high state of presence with another person. Nowadays, the word also evokes a sad irony: While it is true that our technology has allowed us to be more contactable than ever, it has simultaneously compromised our capacity for communion. In our society, we rightfully warn one another about the dangers of distracted driving. But distraction is equally hazardous to our ability to be present to our loved ones, our communities and even ourselves. We know that our culture is in the midst of many crises. One of them surely is a crisis of presence. In the last couple of years, it seems to me, it is becoming more challenging to get anyone to listen for a sustained amount of time. If you're inclined to be a listener, you may find that it is a struggle to even get a word into what is supposed to be a mutual conversation. When we ask people how they are, sometimes we have the grace of receiving a substantive answer. But the chances of being asked the same question in return, let alone getting someone to stay focused long enough listen to our response, seem increasingly slim. Sometimes we come away from a gathering with the sense that we are no better known by our friends than we were when we arrived. It seems to me that we live in a culture where most people are very eager to be heard, but fewer and fewer want to listen. When I arrived as a student at Yale Divinity School, the great spiritual writer and teacher Henri Nouwen had left campus long ago. But I was surrounded by people who knew him and loved him. Whenever I asked what he was like, I often received a similar response. One former student said it best: "When he listened to you, you felt as if you were the only person in the world." What an extraordinary gift Nouwen offered, making others feel truly heard and cared for, helping them realize how important they are. Nouwen's capacity for presence, it seems, not only showed others how much he loved them -- he gave them the sense that of how deeply God loved them, too. When we truly love a person, we long to know them more fully. Perhaps that is the most painful reality of our increasing lack of presence: It compromises our ability to love one another well. We spend much of Advent preparing for the extraordinary mystery that God so longed to know us and to be known to us that God chose to dwell among us, to become incarnate in a world both broken and beautiful, taking on a life that would bring about so much healing and endure so much pain. The real beauty of the incarnation story is not simply that God hears us in our longing for God's presence, but that God's longs just as much to be present to us. I think of Advent as a time to clean the lenses of my sacramental view of the world. Because the reality is, God is always among us. Our beloved Creator is always breaking through to us, in all of creation, in the beauty of nature, in all of our suffering, joy and ordinariness. If Advent is the time to prepare for God's presence, Christmas then is the time for us to remember our calling to be God's presence to one another. Being present to one another is one most powerful ways we bring the life of God more fully into our world. The boy in the Apple ad was aware that moments of embracing, listening, playing, and sharing meals were special, perhaps even sacred, so he recorded them on his iPhone. The mystery of the Incarnation tells us that if we deepen our presence to the people and places around us, we will realize that there will never be an iPhone large enough to capture the ways in which God already dwells among us."